A silk feel front and a textured back and arms this is the perfect top for those more casual days. This top looks great when paired with slim leg jeans and a scarf. 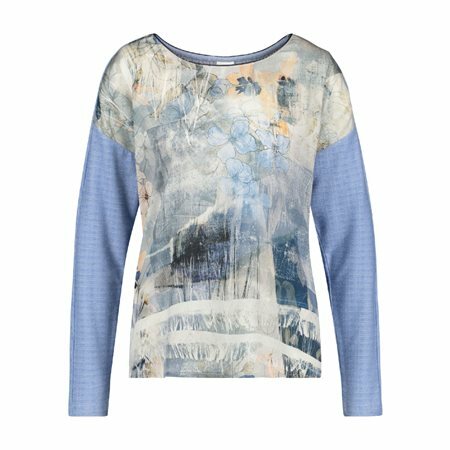 It’s pretty colours make this top easy to pair with a number of outfits and we love it unique faded floral print.